I have DACA…Can I Still Renew in 2018? Learn what to do next if you believe you are eligible to renew. URGENT DACA UPDATE: As of January 13, 2018, DACA Renewal applications are now being accepted due to court order. DACA and the proposed DREAM Act legislation that is currently being negotiated by the administration, is dominating the news cycle. Everywhere you look, media coverage (some accurate, some not) about the fate of DACA program and what may or may not come next is keeping many people guessing about what to do next. It is unclear how long DACA will last, so it is important to get the facts if you are eligible to renew. On January 13th, 2018, a federal judge ordered that DACA be reinstated and that renewal applications continue to be processed and accepted. Shortly after, due to the order, the USCIS published guidance that they have resumed accepting DACA renewal applications until further notice. The DACA policy will be operated on the terms set in place before it was rescinded by the Trump administration on September 5th, 2017. As a result of the temporary court ruling, these rules could be changed by a subsequent court order. It is strongly recommended that any DACA renewal paperwork should be filed immediately upon completion and sent via overnight mail or expedited courier for best result during this extension. How do I know if I am eligible to renew DACA? 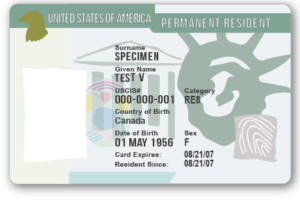 Checking your DACA eligibility is easy and fast with Road to Status. It takes about 30-60 seconds. Click here and answer questions about your DACA renewal status and our easy to use tools will quickly direct you to the information and application you need. 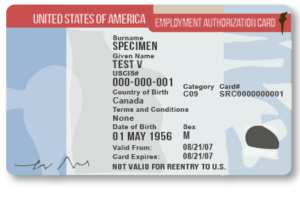 What if my DACA is already expired? Can I still renew during this window? Yes. If you have DACA, or previously had DACA, you can quickly check your eligibility and apply to renew before this window closes. Use our free online DACA eligibility checker here to start the process. What if I have never had DACA before, but want to apply for the first time? Unfortunately, new “first time” DACA applications are NOT being accepted. In fact, if you do not already have DACA, or previously had DACA, you are likely not eligible to apply. If you believe that you have an exception, you can consult with an attorney to discuss your options. In the event that USCIS rejects or returns any DACA application submitted after January 17th (today’s date), please be aware there is a possibility that the USCIS may not refund the filing fees that accompany your application. What do immigration attorneys have to say about renewing your DACA during this window? Is this safe? The fastest, easiest way to complete your DACA application or renewal online. If you believe you are eligible to apply for or renew your DACA, Road to Status provides a fast and easy way to confirm your eligibility and complete your application. If you would like to consult with a licensed attorney either before or after you fill out your application, you can be connected with an attorney who is an immigration specialist quickly and affordably through our Road to Status platform. Everything you need to confidently & easily complete your application is here, all at a low, affordable cost. In fact, hundreds of previous DACA applicants like you have used Road to Status to complete their applications in less than 30 minutes. If you still have questions about how Road to Status can help, you can learn more about renewing a DACA application here. Once you have created your free Road to Status account, you will be asked a series of simple questions to help you get started. 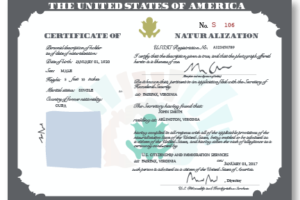 When you finish your application, you can easily edit and review your application documents (and have them reviewed by a professional immigration attorney if you wish). Once you are completely satisfied & confident in your application, you can check out to download your application package to print and mail to USCIS. If you have any questions about us before starting an application, please email us at help@roadtostatus.com or call us at (857) 600-0972.